At the end of July, I put together my much-beloved (at least by me) recap of the bets I’d plunked down in Vegas for the 2012 NFL season. I updated that list with three more small bets in my next column, but with a full month left in Vegas before I moved back East, I found a few more opportunities for action. In some cases, that meant getting additional bets down on some of my previous targets, but I also found some new targets for action. Specifically, those new targets were divisional title long shots! My Panthers +3000 bet from last year didn’t come in, but I missed out on grabbing the Broncos at healthy odds, something I regret. This year, I’ve got a few possible targets in mind, and I backed them with some small bets. They include the Buccaneers ($15 at +1400, $20 at +1500 to go with the $25 at +1200 I already held), Colts ($20 at +1200 and then $20 at +1500 at a different book), and Rams ($35 at +900) to win their respective divisions. The Colts and Rams both remind me of the Broncos situation from last year; the Chargers were a prohibitive favorite to win the AFC West last season, and when they struggled, it became a horse race between all four teams. The Texans and 49ers are rightfully favorites to win their respective divisions, but if either of them falter, I firmly believe that the Rams and Colts are just as likely to be in line as anyone else in their divisions, with the long odds providing these bets their value. The Bucs are more like the 2008 Dolphins than anybody else, a team that got a tough new coach and a healthy season against a weak schedule (even within a difficult division) to eke out the division. For these bets to be profitable, the Buccaneers have to win the NFC South just one time in 12. They can do that, I swear! if I hadn’t gone and grabbed another ticket on the 49ers to go under 10 wins at -125 for $100. The scariest part about that one is that the Niners get the Cardinals at home in Week 17. If they’re 9-6 or 10-5 heading into that game, I have to hedge with a bet on the Niners. No way can I trust the Cardinals to win in San Francisco. I’ve also, got two more bets in against those same Cardinals, who I referred to as the worst team in football on the B.S. Report last week. They were both under seven wins, with $100 in at -165 and $120 more at -180. In addition to the Bucs bets, I reached into my wallet to back the Colts (over five wins at -160 for $60) and Rams (over six wins at -115 for $90), and I even threw in a bet on the Vikings going over their six win total at -115 for $60. The one bet I’m already regretting? Of course, it’s my latest dalliance with the Dolphins. While Matt Moore was still listed as the starter, Vontae Davis was still on the roster, and Jake Long was still healthy, I put $80 on the Dolphins to go over seven wins at -110. That same over bet is now listed at +170, and the under has moved from -110 to -200, suggesting that everyone and their mother has gone under on the Dolphins over the past couple of weeks. I can’t say I blame them. Oh well, more kindling for the fire. Finally, I threw in a few player props once they opened up in town. 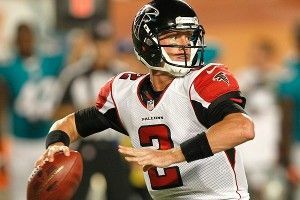 Having gone all in on the 2012 Falcons passing attack, I put $20 on Matt Ryan to win the NFL passing yardage title at +1800, and then added $20 on DeMarco Murray (+2000) and Ray Rice (+500) to each win the rushing title. Without great odds on any notable candidate to win the receiving title, I took the field at +500 for the second consecutive season at $20. Last year, I almost won with Victor Cruz; this year, I’ll hope that Eric Decker or somebody unexpected sprouts up and leads me to a hundo. After all that, my bets for the year have been placed. Once 2013 rolls around, I’ll take a look back and see where I made my mistakes. I can already write the Dolphins paragraph in that article today. Sigh. You can find a table with every single one of my bets for the upcoming season below.